Gallipoli Landings from the perspective of the Lancashire Fusiliers. Although much has been written about the ill-fated Dardanelles campaign, not so much has been told solely on the involvement of the Lancashire Fusiliers. It is a story of great sacrifice and heroism- Indeed no fewer than six Victoria Crosses were awarded to the men of the 1st Battalion. Entrusted with the assault upon W Beach, these local men under Major Bishop (mentioned in Dispatches) fought gallantly- indeed such were the prominence of their assault, the operation on W Beach became known as the "Lancashire landings". In this essay the origins of the Gallipoli Campaign will be discussed, as well as highlighting the early naval failures that led to the all-out assault by Allied forces. In addition the topography of the Gallipoli Peninsula will be provided in order for the reader to get an appreciation of just how difficult the task of gaining a foothold in the Dardanelles was due to the geographical obstacles that gave the Turks an immediate advantage. The main brunt of the essay will of course be the story of the Lancashire Fusiliers, using both primary and secondary sources to highlight the account of the Lancashire's that allowed them to win the famous "six VC's before breakfast". "It is assumed older Battleships fitted with mine bumpers would be preceded by Colliers or other merchant craft as bumpers and sweepers" (Travers, 2004, pg 20). "This is just what one might expect, and what we really did more or less. Every book on war ever written always states the fact that politicians (That is Churchill) interfering with Commanders in the field always lead to disaster but still they think they are born strategists and know all and do it again and again" (Gibson, diary, 18th March, 1915). From the sea the Gallipoli Peninsula was a sight of remarkable beauty. Beyond the narrow bays and escarpments at the toe of the promontory, at Cape Helles where the Dardanelles met the Aegean Sea, a low plain rose behind the seashore village of Sedd-el-Bahr, cupped in a saucer between low cliffs, and stretched north to the inland village of Krithia. Beyond it crouched Achi Baba, a deceptively unimposing hill with a broad-breasted summit just high enough to command a view of the Aegean across its western shoulder and the narrows of the Dardanelles to the east. Further north on the western coastline, the land took on a wider aspect. Sheer cliffs scarred with deep gullies and ravines swept down almost to the water's edge and towered up to rugged heights of formidable grandeur. (Macdonald, 1997, pg 346). To the regular Lancastrian solider, such complexities of the geographical situation were not such an issue that was considered, many can be said to have been blissfully unaware that they were about to embark on a bloody campaign that would cost the lives of so many. Alarmingly and a prelude to such disaster was the distinct lack of military intelligence from the so called military greats. Hamilton, speaking on March 24th, merely a month before the operation began, said his personal knowledge of the Turks and the Dardanelles area "was nil". Indeed it was not until April 11th that Hamilton's administrative staff arrived in Egypt, by which time the entire burden of drawing up the landing and administrative plans had been borne by the General Staff officers, few of whom had little experience. To add to this the naval and military staff were now divided by several hundred miles of water, which obviously made planning even more difficult. With regards to the Navy, at a comparatively late stage in the preparations it was discovered that the 18- pounder guns, vital for Naval Gunfire Support for the troops, were only supplied with shrapnel shells and the Navy also was running short of high-explosive ammunition. So, this coupled with the Army's lack of preparation with no engineers, no signal company , no trench stores, and no materials for the construction of peers and jetties was indeed a recipe for disaster, that would contribute significantly to the death toll- 44,000 allied troops were killed with many more wounded. (James, 1965, pg 79). The landing operation was to comprise of two distinct areas- The 29th Division (including the Lancashire Fusiliers) landed at Helles on the tip of the peninsular with the intention of advancing upon the Forts at Kilibahir whilst the Anzacs landed north of Gaba Tepe on the Aegean coast, with the intention of advancing across the peninsula, thereby cutting off retreat from or reinforcement of Kilitbahir. W Beach consisted of a narrow strip of deep powdery sand, some 350 yards long and from 15 to 40 yards wide. On either flank of the beach the ground rises to high cliffs, and in the centre there are gradually rising ridges of sand dunes. The beach had received careful attention from the Turko-German engineers, and elaborate barbed wire defences had been erected. In addition to this, the Turks had constructed entanglements concealed under the sea surface of the shallows. The Turks were well dug in, and well-armed with machine guns concealed within holes in the cliffs. Indeed the Naval bombardment in prelude to the attack at W beach made little impact therefore making the job of taking the beach near impossible. (Princess Catherine Radziwill et all, circa 1920, pg 771). "Not a sign of life was to be seen on the peninsula in front of us...it might have been a deserted land we were nearing in our little boats. Then, crack! The stoke oar of my boat fell forward, to the angry astonishment of his mates". This source is particularly useful as this account was written just after the landings, as in fact, Captain was killed at Gallipoli six weeks later. (James, 1965, pg 118). "The whole mass of Khaki clambered upwards and went with a deep roar of sound charging down the first Turkish trench that was enfilading the beach. With their bayonets flashing they went right in with an irresistible rush, using the cold steel with such effect that in a moment the Turkish infantry were on the run". This account has a common theme with many books of the day- they do not dwell upon the number of men killed, nor those injured. Indeed in this particular account there is no mention of the great number of Fusiliers who lost their lives on that fateful day. The furthest the book goes is to say is "a long line of men were mowed down" and "men fell in dozens". In fact, the Lancashire Fusiliers lost on W beach landing 6 officers and 183 men killed 4 officers and 279 wounded and 61 men missing, a total of 533 casualties. Furthermore, it can be said that the "deep roar" of the troops in their charge may be hard to imagine if Captain Claytons account is to be considered- it appears that such would be impossible as many were "gasping for breath" due to the weight of theirs packs and the physical difficulties in getting on the beach. However, the bravery and professionalism of these men cannot be underestimated. The 1st Battalion Lancashire Fusiliers were army regulars and therefore more experienced and professional than their conscripted counterparts. This can be said to be a factor when considering the initial successes that the battalion enjoyed, albeit with heavy losses. So strong were the defences of W Beach that the Turks may well have considered them impregnable, and it is my firm conviction that no finer feat of arms has ever been achieved by the British soldier- or any other soldier- than the storming of these trenches from open boats on the morning of April 25th" (Princess Catherine Radziwill et all, circa 1920, pg 775). As previously mentioned, six Victoria Crosses were awarded to the Lancashire Fusiliers, an event hailed in the allied press as the winning of "six VC's before breakfast". The men awarded with the medal were Captain Cuthbert Bromley, Corporal John Grimshaw, Private William Keneally, Sergeant Alfred Richards, Sergeant Franks Stubbs and Captain Richard Willis. "On 25th April, 1915, three companies, and the Headquarters of the 1st Bn. Lancashire Fusiliers, in effecting a landing on the Gallipoli Peninsula to the West of Cape Helles, were met by a very deadly fire from hidden machine guns which caused a great number of casualties. The survivors, however, rushed up to and cut the wire entanglements, notwithstanding the terrific fire from the enemy, and after overcoming supreme difficulties, the cliffs were gained and the position maintained. Amongst the many very gallant officers and men engaged in this most hazardous undertaking, Capt. Willis, Sergeant. Richards, and Private Kenealy have been selected by their comrades as having performed the most signal acts of bravery and devotion to duty.". (Commonwealth War Graves Commission, 2012). The citation for Bromley, Stubbs, and Grimshaw was not issued until March 15, 1917, due to War Office regulations and red tape. Sergeant Richards in particular highlights the modest attitude of the recipients. When he was told he had received the VC through the votes of his fellow soldiers, he said "I am proud my comrades chose me as one of the three bravest, but we all did our duty even though luck may have helped some to more notable acts, had it been a comrade selected instead of me I should feel just as proud"
Once the successful landings had been achieved the intention was to push on, however famously Gallipoli became yet another stalemate just like the Western Front. This was due to both the Allied underestimation of the Turks and the lack of planning and co-ordination between the Army and the Royal Navy. In addition it can be said that terrain is a magnificent munition of war- the combination of all these factors along with the limited amount of boots on the ground led to the resounding failure that cost the lives of so many men. By January 1916, a total of 50,133 Allied were killed along with an estimated 86,000 Turks. The sheer numbers are hard to comprehend- Indeed in today's modern theatres of war the loss of just a handful of men will make the headlines- In this bloody war sometimes thousands were killed in a single day. We are of the opinion that, with the resources then available, success in the Dardnelles, if possible, was only possible upon condition that the Government concentrated their efforts upon the enterprise and limited their expenditure of men and material in the Western Theatre of war. This condition was never filled. (Travers, 2004, pg 297). Therefore it can be said that the whole campaign was doomed to failure from the start. One success of Gallipoli was in fact the retreat- The final act of evacuating some 90,000 men, with 4,500 animals, 1,700 vehicles and 200 guns was carried out with great skill and ingenuity, under the very noses of powerful Turkish forces. Not a single life was lost. The evacuation was carried out at night-time. During the day, however, ships riding at anchor under Turkish observation could be seen disembarking troops and unloading guns and stores. The trick was that more men and materials were evacuated during the night than had been ostentatiously brought ashore during the day. (http://www.guardian.co.uk/news/1915/dec/20/mainsection.fromthearchive). You, the mothers, who sent their sons from far away countries, wipe away your tears, your sons are now lying in our bosom and are in peace. After having lost their lives on this land they have become our sons as well". (Travers, 2004, pg 312). It is with that quotation that the essay comes to a thoughtful end, with hope that conflicts such as the Great War that have now past, with the death of the great Harry Patch, out of living memory will never be forgotten. It is our duty to pass on these stories of sacrifice to future generations. They shall grow not old, as we that are left grow old. Age shall not weary them, nor the years condemn. At the going down of the sun and in the morning, we will remember them. Tim Travers (2004). Gallipoli 1915. 3rd ed. London: Tempus. Pg 20, 297, 312. Nigel Steel and Peter Hart (1995). Defeat at Gallipoli. 2nd ed. London: Papermac. pg 23. Commander Gibson RN. (1915). Naval operations in the Dardanelles Campaign. Available: http://www.enotes.com/topic/Naval_operations_in_the_Dardanelles_Campaign. Last accessed June 2012. Lyn Macdonald (2000). 1915: The Death of Innocence. 2nd ed. London: Penguin. pg 346. Princess Catherine Radziwell et all (circa 1919-20). The History of the Great War. London: The Waverley Book Company. pg 767, 771, 775. Robert James (1965). Gallipoli. London: B.T. Batsford Ltd. pg 79, 118. Charles Griffin. (2012). 6th Gurka Rifles. Available: http://www.britishempire.co.uk/forces/armyunits/gurkha/6thgurkhas.htm. Last accessed June 2012. John Ellis (1977). Eye Deep In Hell- Life in the Tranches 1914-1918. 2nd ed. London: Fontana. p 33. Captain Clayton 1st Battalion, Lancs Fus. (2012). 1st Battalion at Gallipoli. 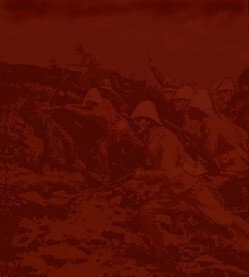 Available: http://www.lancs-fusiliers.co.uk/gallerynew/WW1/Gallopoli%20ww1/gallipoli.htm. Last accessed June 2012. (2012). Casualty Details. Available: http://www.cwgc.org/search-for-war-dead/casualty/600033/KENEALY,%20WILLIAM%20STEPHEN. Last accessed July 2012. The London Gazette No. 29273 dated 24th Aug., 1915. Author not known (Monday 20 December 1915). Allies retreat from Gallipoli disaster. London: The Guardian Newspaper.